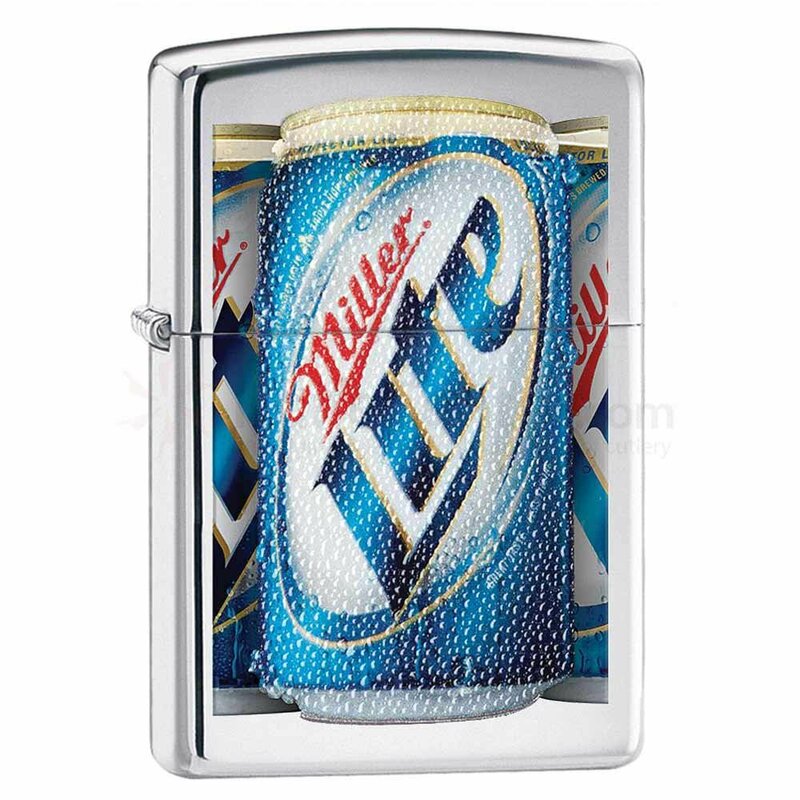 Zippo 28250 MillerCoors lighter features high polish chrome finish lite cane printed metal body. 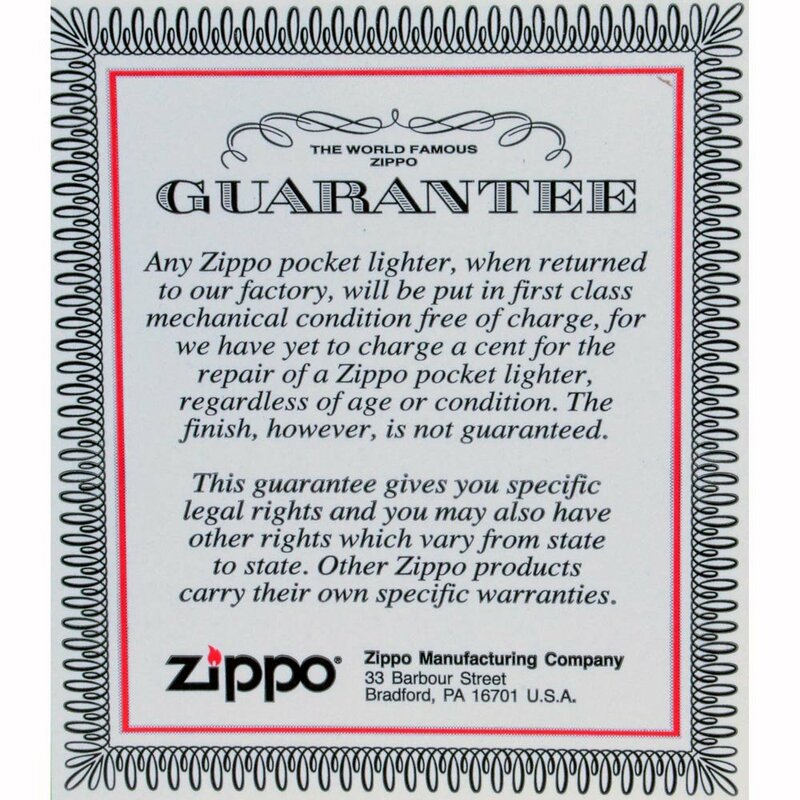 Zippo 28250 lighter has reliable flint wheel ignition. All Zippo lighters are Made in the USA. Like all genuine Zippo windproof lighters, Zippo 28250 MillerCoors high polish chrome lite windproof pocket lighter comes in an original Zippo environmentally friendly cardboard gift box with Zippos lifetime guarantee. Note that fuel for all Zippo lighters are sold separately.